A kimono is a beautiful piece of traditional Japanese clothing. This experience will allow you to try on a kimono of your choice, and wear it correctly, with the help of an expert. You’ll learn all about the different types of kimonos and accessories, and even how to style your hair. 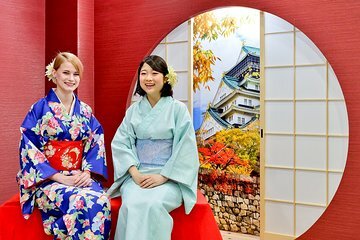 It’s a hands-on experience that’ll teach you about Japanese culture, and also give you plenty of photo opportunities too. If you travel to Osaka for the first time, I strongly recommend you to visit this place. Here, you can get both Kimono and Ninja outfit. The staffs are extremely knowledge, polite, respect and positive. We learned many things there. I first booked Kimono experience but female staff forgot her name intelligence and kindness made me decide to book second experience. Facility is small but very clean and warm. You can ask for help with anything. Two thumbs up.